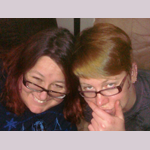 My next guest on Lounging with LannaLee (Steve Trombulak, look for his episode on Thursday) got it right when we were talking after we recorded the show on Saturday. I mentioned that I’d love to get paid to do Lounging with LannaLee, but haven’t figured out how that would work. It’s like the Undperpants Gnomes! Are you familiar with the Underpants Gnomes? They’re from a South Park Episode. As depicted in the screen shot, they “Collect” underpants (by stealing them). Eventually this was to lead to profit. So. As Steve intimated, I’ve been making my podcast. Collecting it, you might say. How long must I wait for profit!? 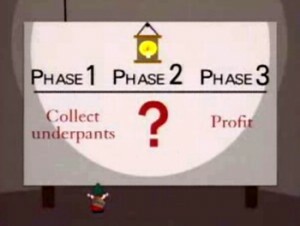 I find it very amusing that my business plan is EXACTLY like the Gnomes’ plan. The Gnomes’ plan has been running through my mind for a few months now, and it I found it HILARIOUS that Steve caught on from the get go. The thing is, as I mentioned last week, I’ll be speaking at the #140conf State of Now SmallTown Conference on November 8th in KANSAS. For those of you keeping score, it is approximately 1750 miles away. It would take 30 hours to drive there. So I was thinking, how awesome could we make this? 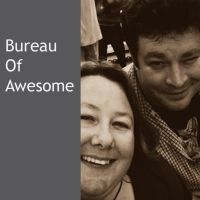 An epic Train Trip with my Bureau of Awesome pal (and hubby) Edmund, perhaps. Podcasting Half-Way Across AMERICA, perchance?! To that end, I’m working on a plan to do an indiegogo campaign AND a live Lounging show. Look, I will unabashedly be asking people for money. If you have extra funds, I hope you would consider giving me some of them. The indiegogo campaign will have prizes/perks for each level of giving, please choose whatever you feel most comfortable giving. I am also working on some sponsorship ideas and will have a donate button for long-term giving for expenses. If you DON’T have funds, I will still need people to spread the word by sharing links to my podcast and to anything else that is coming up, like the indiegogo, the live show, whatever. If you can RT or repost in Twitter or Facebook or Google+, I will really appreciate it. Because PR and getting the word out is just as important.